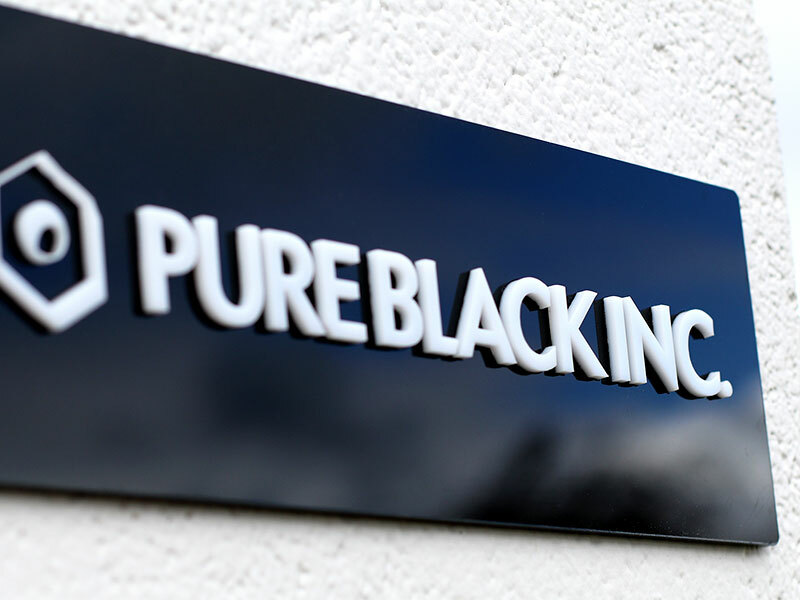 Home - Pure Black, Inc.
We are a custom fabrication and design studio based in Santa Rosa, CA. Below are just a few examples of the many types of products we make. Let’s get creative. Let’s make nice. 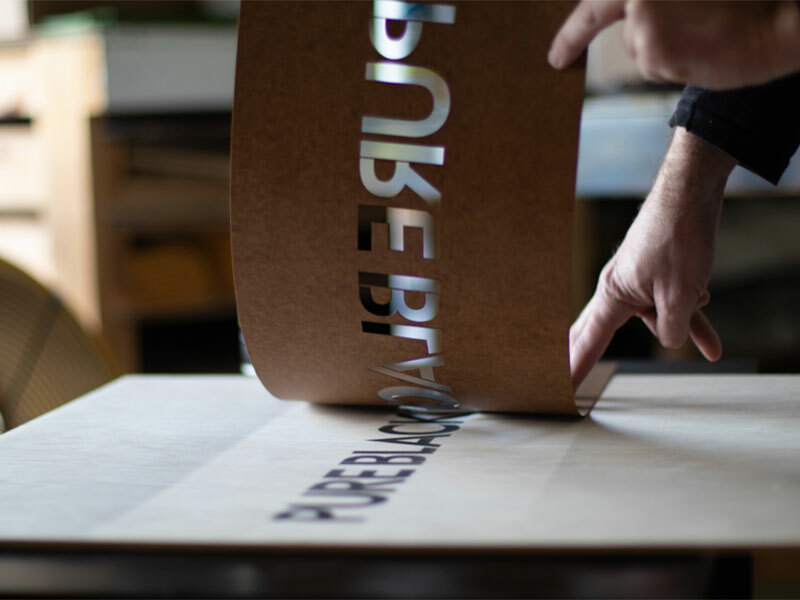 Originally founded as a custom stencil maker, we’ve since cut thousands and thousands of stencils on a variety of materials. Our projects range from tiny text for marking tools and equipment to 100 foot wide multi-layer murals. If you need a stencil cut you’ve come to the right place. A quality sign says a lot about your business and is essential in making a good first impression. 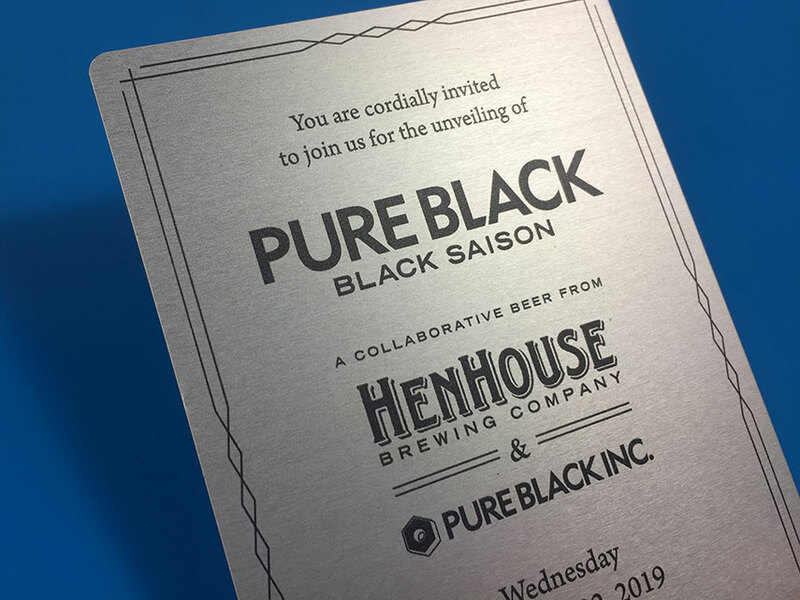 From something simple and clean, to something more complex involving your logo and color scheme, we can work with you to design and produce a sign that will actually make people want to come into your business. Show them you care about what you put out there, and therefore care about the quality of your work. Your business card says a lot about you. No really. It literally has all of your information on it. But what else do you want it to say about you? 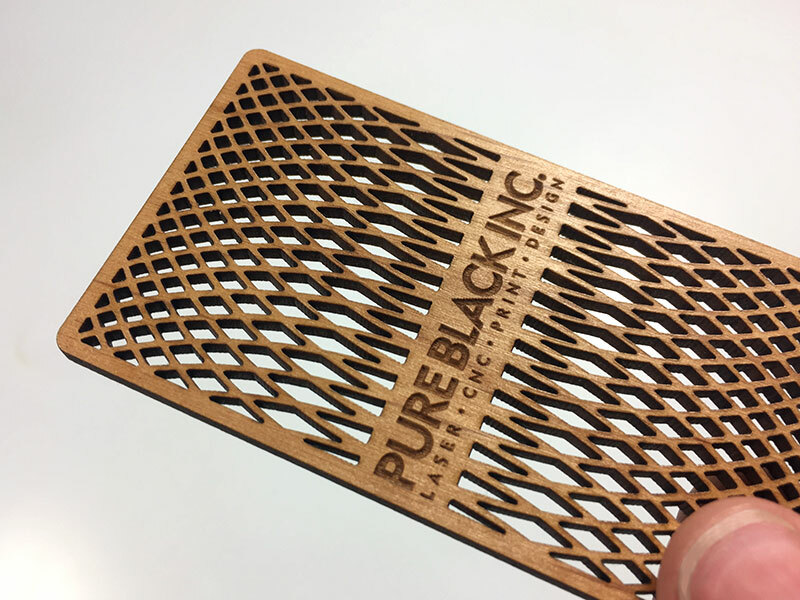 At Pure Black Inc. we design cards that stand out, on a variety of materials like wood, metal, acrylic, and much more. They may not remember you but they will definitely remember your card, which is kind of like remembering you. What better way to build excitement for your upcoming, super important event than by sending out an eye popping, jaw dropping invitation? Make your shindig stand out by sending an invite that people will be talking about, and will be saved and remembered for years to come. Now all you have to do is make sure the event is as cool as the invitation.